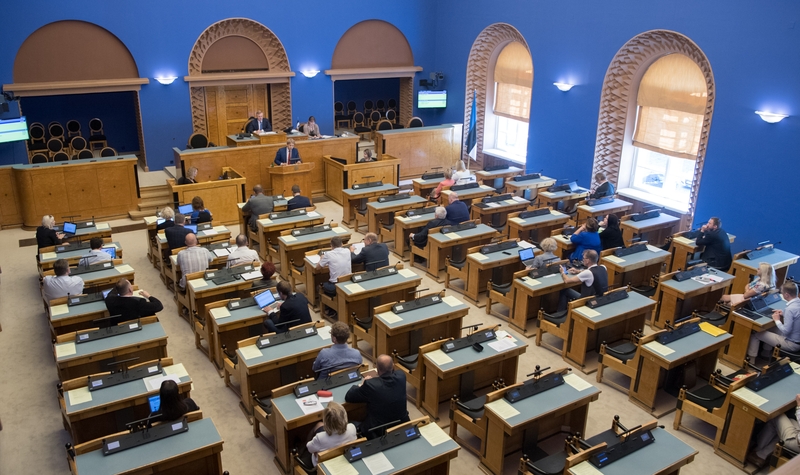 At today’s sitting, the Riigikogu held the deliberation of the matter of significant national importance “The problem of state liability on the basis of the case of VEB Fund”. 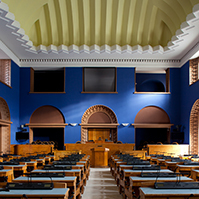 The speakers considered it necessary to compensate the Estonian businesses the damage caused by the VEB Fund. 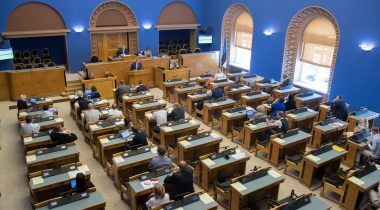 Chairman of the Legal Affairs Committee Jaanus Karilaid said that it was necessary to speak of the VEB Fund, because there were still questions about what had happened. “This spectre is haunting us, it is haunting the state of Estonia, the politicians, and it should be stopped once and for all,” Karilaid added. In his opinion, the politicians of new generation are able to give assessment to the events of the past and take responsibility before the entrepreneurs. 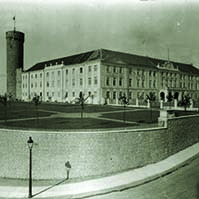 “The Estonian kroon and banking were saved with the money of the entrepreneurs. 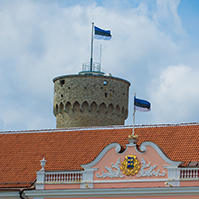 Today, on the 100th anniversary of the Republic of Estonia, it is time to find a dignified and fair solution for the entrepreneurs,” the Chairman of the Legal Affairs Committee said. In his report, Sworn Advocate Indrek Leppik described the work he had done since 1997 in defending the interests of the persons who lost their money through the VEB Fund. “It is possible to return the money to those owners of certificates who up to now have carried the taxpayer’s burden on their shoulders and contributed to the stabilising of Estonia’s own currency and financial system. 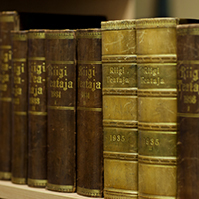 The solution of this situation is in your hands,” Leppik said to the members of the Riigikogu. Liquidator of the VEB Fund Rein Järvelill also found in his report that the government should compensate the losses of the legal entities that suffered damage in the VEB Fund. 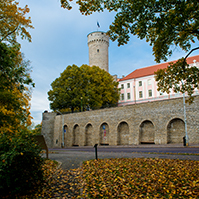 Järvelill also proposed to the Riigikogu to strengthen supervision over the activities of the Bank of Estonia. “First of all, appoint such people to the Supervisory Board of the Bank of Estonia who are competent in management and able to comprehend at expert level what is going on in the central bank,” Järvelill said. Auditor of the Bank of Estonia Henn Oit gave an overview of the audit that had been completed in the central bank five years ago, which in his opinion had managed to establish more or less successfully what had happened to the claims and obligations of the VEB Fund, but had not been able to establish why it had happened. Oit said that the audit in the Bank of Estonia ascertained that the letter with false information had really been composed in the Bank of Estonia. “The audit could not identify why, and on whose initiative the wrong data were put in the letter. We know it was a planned activity,” Oit added. 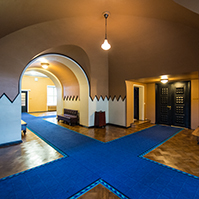 He pointed out that the audit report of the Bank of Estonia on the VEB Fund as well as relevant archive materials are available to the public on the website of the Bank of Estonia. During the debate, Jürgen Ligi from the Reform Party Faction, Artur Talvik from the Estonian Free Party Faction, Jaanus Karilaid from the Estonian Centre Party Faction, Mart Helme from the Estonian Conservative People’s Party Faction, Rainer Vakra from the Social Democratic Party Faction, Jüri Adams from the Estonian Free Party Faction and Peeter Ernits from the Estonian Centre Party Faction took the floor and presented their positions.